Emily to use her sacred magic in a forbidden way? Can new love take root in a world of nightmares? And will her friendships survive Emily’s Trial? 1) Can you tell us about Emily's House and Emily’s Trial? How the concept came about? How long it took to write? Did you conceive it as a series? I didn’t originally conceive of Emily’s story as a series. The original idea was to write a hero quest with a female hero. At the beginning of crafting the story, I had a vision of the magical armlet – the torc. When I researched the torc and found out that it was worn by the ancient Celts, I then got interested in Celtic mythology and bam – I had a story idea that wove together a modern world with an ancient one – a modern girl with ancient magic. It took me four years to get from initial idea to Emily’s House. And – how cool is this – in the fall of 2010, right after finishing the first draft of Emily’s House, I won a trip to Ireland! Very awesome since much of Emily’s House is set in Ireland, and I’d never been there. On the plane ride to Ireland, I saw two additional books for Emily, and the titles: Emily’s House, Emily’s Trial, and Emily’s Heart. For Emily’s Trial, my original concept was this: What if Emily and her friends ended up in a world where their nightmares become real? I stuck with that story question and Emily’s Trial is the result. It was a fun book to write, and I hope readers enjoy it too. 2) What was your favorite part about writing Emily? The magic! When I was a little girl, I believed with all my heart in faeries, Santa Claus, and other magical beings. And I still want to believe in magic! My favorite part of the Emily series is imagining her magical abilities. I’m working on Book 3 right now, and I’m finding that Emily has some abilities that not even I knew about! 3) Were there any particular scenes you found difficult to write? Did any surprise you as you were writing? Any favorites? When writing the first book, Emily’s House, I was stuck when it came to writing Dughall’s story. It was my first novel, and I had fear about exploring this dark character. But once I got the courage to explore Dughall, it became one of my favorite parts to write! And now that I’m in book 3 – a very dark world, indeed! – I find that I enjoy writing the “bad” guy/girl characters. In terms of surprises, I have a lot of them when I write! While I plan books before I begin, how the characters get from beginning to end is often a surprise to me when I write the first draft. For example, in Emily’s Trial, what happens to Owen and Fanny at the end was not at all planned. It was a shock to me when writing it! 4) How did you go about your worldbuilding? I generally have ideas pop into my mind before writing as to the world that the characters find themselves in. But as I’m writing – and during revision too – I ask a lot of questions of my characters. I start with the senses. What do they smell? What do they taste, hear, see, and feel? I try to get inside their head and sense what they’re sensing. My hope is that this makes the world feel real to readers. 5) What attracted you to writing for the YA market? Honestly, I didn’t set out to write for the YA market. The idea for my first novel, Emily’s House, arrived in my head in 2007. I originally conceived of the Emily character being older – in her 20’s. But it wasn’t working. Then, I got a vision of her as younger – in her early teens. And then the story took off. I find that the YA “voice” comes out naturally when I write. My husband jokes that I’m still a juvenile at heart! 6) What can readers expect to see from Emily in the next book? 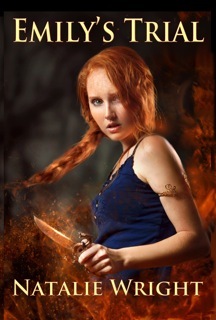 I’m currently writing the first draft of Emily’s Heart, Book 3 of the Akasha Chronicles. 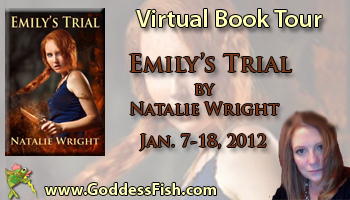 Emily’s Heart will be an interactive experience, unlike anything you’ve read before. There will be links and QR codes embedded in the digital version so that readers can go to additional content that will enhance the experience of the book. I don’t want to reveal too many specifics and spoil the discovery aspect of this, but links may take a reader to “lost chapters”, sample music that inspired the scene, trailers or related video, video messages from me, and other content. The enhanced content will be unobtrusive, so readers can ignore it if they want. But for readers who want to enhance their experience of the story, it will be easy to click to additional content. I’m excited to share this “inside” view with readers and hope they have as much fun with the interactive content as I’m having creating it/bringing it to them. I’m also working on a new speculative fiction series, working title is H.A.L.F. Here’s the setup: Ever since the UFO crash at Roswell, New Mexico in 1947, the U.S. government has had a top secret program to breed alien-human hybrids as weapons to be used in a secret war. At the dawn of the new century, the program succeeded and the first H.A.L.F. (Human Alien Life Form) was born. The H.A.L.F. escapes the government facility and flees into the dangers of the surrounding Arizona desert. When Erika Holt and her friends have a chance meeting with H.A.L.F. in the desert, her choice to help him escape pits her and her friends against the U.S. government. And when they find out the truth of what the government has been hiding, none of their lives will be the same again. 8) Can you share some thoughts on the publishing world today? How was your experience bringing your novel to the world? Wow, the publishing world – big topic! I didn’t follow the traditional path in bringing Emily into the world. I never submitted to publishers or agents. I know that’s a bit rare, but for me, when it came time to decide what path I’d take, self-publishing felt like the right choice for me. I’ve had my own business for over eighteen years, and have always been entrepreneurial at heart – and a control freak! So the idea that I would hire freelance editors, cover designers, and formatters but maintain total control over the product – and timing – really appealed to me. I’m happy with the team I put together for Emily’s Trial, and feel that I’ve put out a product that can compete with traditionally published books. I’ve been encouraged to submit my new speculative fiction series, H.A.L.F., to agents and editors. But I’m not sure that I will. I’m enjoying the writing and self-publishing. I never say never, but for now I’m enjoying writing what I want to write, having the cover and title that I want and envisioned for the book, and the direct connection to readers. The end product is exactly what I envisioned. For an artist, this is so important. It’s such an exciting time to be a writer! 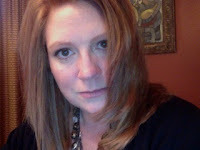 Natalie enjoys chatting with readers, so stop by and say hi! Natalie will award an autographed copy of "Emily's House", a handmade Celtic-inspired armlet, similar to one worn by Emily in the books and book swag to one randomly drawn commenter (US only -- an eBook of "Emily's House" will be substituted as the prize for an international winner). Comment below in order to be entered! Thanks for the giveaway!! I have been wanting to read this book!!! Good luck in the giveaway Sarah! Got this on my TBR list and I look forward to reading it!! Thanks for the giveaway!! This book sounds really interesting. I'll definitely add the first one and this one to my "To Read" list. Thanks for sharing more about the book. Hi Emily! I love fantasy & I'm excited to come across this post as you are a new author to me. Nice to discover new books & authors! Thanks for the opportunity to win. I think I'm going to DIE. Just whoa. This series sounds AH-MAZING!!!!!!!!! MUST HAVE!!!!!!!!! And the opportunity to win an armlet! I would wear that to school every day! Not to mention SWAG. Ohmygosh SWAG!!! !